Do you sometimes fall off the OmniFocus bandwagon? 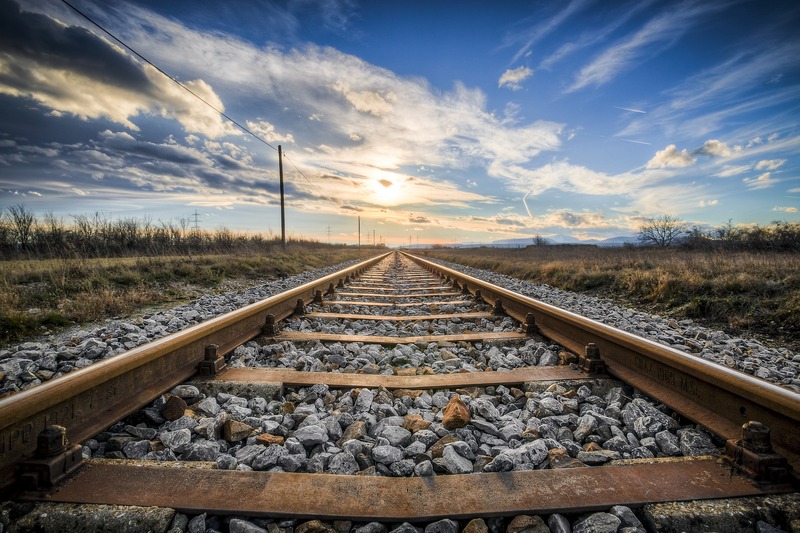 Learn practical ways to get back on track, and avoid pitfalls in the future. Perhaps you started using OmniFocus with great enthusiasm, but somewhere along the way, your excitement has waned. OmniFocus may have started to feel like another obligation to fulfill, rather than a powerful ally that helps you do your best work. This session is a guide as you get OmniFocus back on track and will help you avoid pitfalls in the future. For those of you who have been using OmniFocus for a while, this session is designed to help you reignite your enthusiasm for OmniFocus as you unlock its potential. And if you’re new to OmniFocus, this session provides a great opportunity to learn how to spot common pitfalls before they compromise your productivity. Drawing upon insights presented in one of our most popular articles, Common OmniFocus Pitfalls and How to Avoid Them, this session takes you through the most common OmniFocus missteps. As you watch the session, you’ll be invited to take a critical look at your own system. And, if you’ve fallen into any (or all) of these pitfalls, fear not. You’ll receive guidance to help you get back on the bandwagon. Issue: OmniFocus Has Become a Dumping Ground — Perhaps you developed a solid habit of emptying your mind into the OmniFocus inbox…and ended up with an unmanageable amount of unclarified information. We look at how to deal with an overloaded system, and how to avoid this situation in the future. This includes clarifying what belongs in OmniFocus and what is best kept elsewhere. Issue: Unclarified Projects and Actions — One key to unlocking OmniFocus’ prowess is to establish a habit around creating clearly defined projects and actions. As we go through the session you’ll have the opportunity to review your existing projects and actions and to determine if they’re in need of additional clarification. Issue: Overwhelming Number of Overdue Items — It can be tempting to add due items to things that you want to get done by a specific date, even though they’re not technically due. We review best practices for the use of due dates and look at ways to transition towards using due dates effectively. OmniFocus is Out of Date — Keeping OmniFocus up-to-date and relevant is key to having it be an effective tool. If you’ve neglected your OmniFocus housekeeping, you’re likely not very motivated to use it and may return to old habits of being driven by latest and loudest. We look at some ways to revive your OmniFocus setup and practice as well as strategies to keep it from being left to gather virtual dust down the road. Issue: Too Many…or Not Enough Contexts — Contexts can be a highly effective way to target specific actions based on things like your physical location, your energy level and the people you’re with. You’ll be guided through a review and revamp of your current contexts so that you can get maximum value from this powerful feature. Especially if you’re new to OmniFocus, it’s recommended that you watch the recording of the Start Smart with OmniFocus session before watching this session. 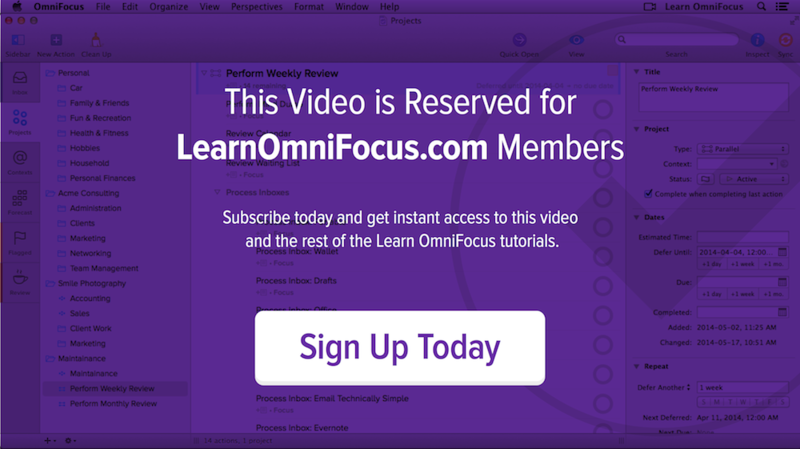 You might also want to watch the recording of the OmniFocus: Beyond the Basics session.